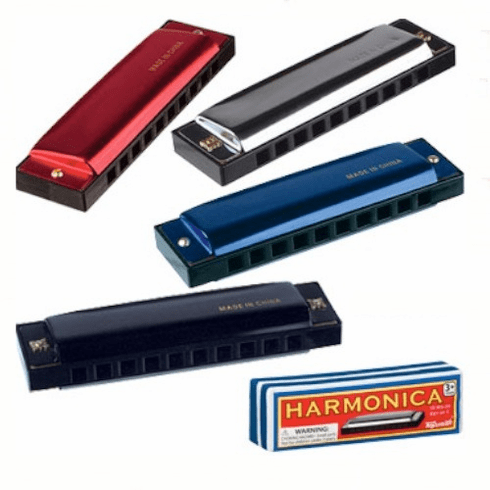 Learn to play your favorite tunes with this classic 4 inch long metal harmonica. Each harmonica comes in a hinged box for storage. Colors subject to availability. Price is per harmonica.